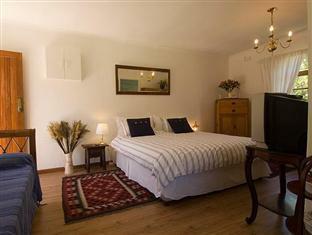 ﻿ Tiana Guest House Cape Town. JIMAT di Agoda.com! Ada soalan mengenai Tiana Guest House? 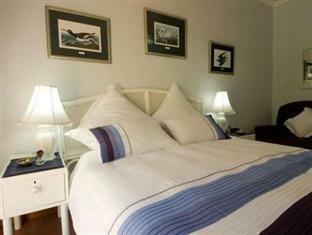 Terletak pada kedudukan yang baik di Southern Suburbs, Tiana Guest House adalah tempat yang sesuai untuk memulakan lawatan anda di Cape Town. Hanya sejauh 29.6 Km, hotel 3-bintang ini boleh diakses dengan mudah dari lapangan terbang. Hotel moden ini berada di sekitar kawasan tarikan bandar yang popular seperti Mendaki Gunung Table, Konsulat Amerika Syarikat, Winelands. Ambil kesempatan daripada pelbagai perkhidmatan dan kemudahan yang tiada tandingan di hotel Cape Town ini. Ketika menginap di hartanah yang indah ini, para tetamu boleh menikmati Wi-Fi percuma semua bilik, Wi-Fi di tempat awam, tempat letak kereta, khidmat bilik, pengangkutan lapangan terbang. Tetamu boleh memilih dari 4 bilik, semuanya yang akan memberikan suasana ketenangan dan keharmonian. Hotel ini menawarkan pelbagai kemudahan rekreasi yang sangat baik, termasuk kolam renang terbuka, taman. Apa juga tujuan lawatan, Tiana Guest House merupakan pilihan yang terbaik bagi penginapan anda di Cape Town. We had the most enjoyable stay, Dominique was a delightful and generous host. Our breakfasts were fresh, delicious and bountiful. Additionally, we slept like logs in a really comfortable bed. Two thumbs up from this end, we would heartily recommend Tiana. Value plus. Dominique runs the Tiana efficiently and with an eye for the needs of her guests. Our room was clean, beds were comfortable. Good breakfast choices and quality. Don't be put off by the apparent proximity to the Highway: there is no noise to speak of. 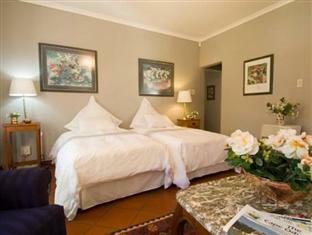 This was our third visit to Cape Town and the best value for money we have had. Choose the Tiana with confidence. We booked to stay six nights, and wished it was more. Dominique and her staff could not. Have done more to make us feel welcomed and at home. Breakfast was wonderful and all her recommendations were spot on. It was a good stay. Positives - the room was neat and spacious, free WIFI and breakfasts were nice. 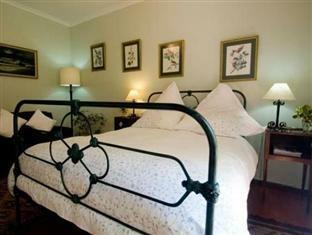 The rooms are decorated with expensive furnishings. Close drive to shopping/ food outlets. Negatives - The owner kept entering my room whilst I was not there which annoyed me. Das Guest House liegt sehr ruhig. In 15min ist man in Kapstadt. Der Service war gut. Das Frühstück wurde sehr liebevoll zubereitet.In ZA ist es üblich das viele priv. Häuser Hunde halten. Man sollte also Hunde mögen. 원화로 3만원대 방부터 16만원대 방까지 골고루 가격대 방과, 지역, 숙소유형을 이용해 보았습니다. 전체 6박을 했는데 그 중에 가장 넓은 방이며, 조용하고 깨끗한 백인주택가에 위치하여 너무 안락합니다. 순한 개 두마리와 까만 개냥이가 게스트들에게 거리낌 없이 잘 따르고 주인 아주머니가 매우 쿨하신듯하지만 적극적으로 다음 숙소 체크인아웃과 관광상품 예약을 도와주셔서 일정이 너무 수월해졌습니다. 유일하게 전날 밤에 조식 메뉴를 선택할수 있게 메뉴판을 가져다 주신 집이었고, 와이파이가 잘되며 주차공간도 널찍합니다. 매우 가정집같은 분위기며 침대마다 전기 매트가 깔려있고 전기 히터도 구역마다 구비되있어서 한국난방과 맞먹는 제일 따뜻한 밤을 보낸것같아요! 정말 너무 너무 추천합니다!!! alle goede recensies zijn waar en meer dan dat.wij zij gewend aan comfort en dat was er ook in ruime mate. Rustige buurt van waaruit gemakkelijk alle bezienswaardigheden te vinden. Gastvrouw erg charmant en attent maar niet te aanwezig Volgende keer boek ik tiana heel graag weer want jammer kon zij ons maar drie nachten herbergen. Hoezo heeft dit guesthouse maar drie sterren en zoveel te bieden ? Alles klopt daar gewoon! très agréable séjour - Dominique et Marcello aux petits soins pour les hôtes - Petit déjeuner succulent très jolie chambre avec une très confortable literie - et Dominique parle français ! Nous espérons pouvoir revenir bientôt.